Are you thinking about getting your company's advertising methods to the next level? Producing promotional items is one of the best techniques you might be able to utilize. A more effective way is making use of pens to promote your brand. Not only will your message be distributed to almost anyone that your pen could reach, people will also be able to use your item to their convenience. For your information regarding which pens to use for advertising your company, here are a couple of reliable pen brands you might want to check out. All these quality brands can be used for personalized logo pens for your marketing needs..
Bic Pens was established in 1945 when partners Marcel Bich and Edouard Buffard made their first products. Since then, they have established their brand to different parts of the world, providing quality pens for everyone. They offer stationary items such as pens and correctors to lighters and shavers. This French company has gone a long way in the writing industry, gaining popularity of use from all over the world. Using certain items or products, such as t-shirts, notepads, or usually even smaller ones such as clips or pens, for promotional purposes may seem like a waste of budget for your company - given that they seem only too little an investment to be given more attention to. Little do you know, they are not just used, printed on, and distributed to a lot of people for no reason. These little investments, believe it or not, will help your company in quite a large scale with regards to advertising. You may think that you should better invest in much bigger types of advertising; there are posters, print ads, and billboards for you to use. Sure, they can be noticed more by a lot of people, even outside your target audience, but they also cost a hell lot of money just for advertising. What's more is that these ads only sit in one place and most probably, can only be seen by the same people every day. If you consider using little products like promotional pens, though, the news about your company can possibly travel to a whole lot of places through the hands of different kinds of people. 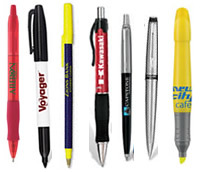 There are a lot of ways you can make use of pens in promoting your business or company. Here are 25 ways that will make you start producing those pens already. 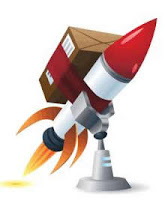 Here are 3 stories I would like to share from our satisfied customers. There are endless ways to use promotional pens and pencils. I laughed when I read your email asking for stories about pens we've ordered.I am now known for my pens. I order the same pen but in a different color and have since I became a Realtor in 2005. I drop off pens wherever I go and when I revisit them they ask me for more. They even comment if I've changed the color. They actually keep track of which ones they like. I have clients who use my pens to sign contracts and then when we meet again ask me if I'd mind giving them more. One set of sisters had one each to sign their contract and then I left some at the house we were selling. At the closing they both whispered to me, 'can we have another pen?'. At my hair salon the receptionist hides them from the stylists so she can save them for herself. I walk in every 6 wks and hand her a few and she gets giddy! I've started handing them out saying, "you're going to love this pen and you'll be asking me for another one" and the next time I see them they say, omg, you're absolutely right! I will never be without my Bic widebody to hand out! Thanks for the great service and pricing! My boss wanted extra promotional materials for our upcoming business product launch. I was surfing around the net when I saw Gary's website called Thepenguy.com and found this perfect logo pen by PaperMate called PaperMate Element. True to its name, I was persuaded by how it looked that I simply thought to myself that this is the right pen to use for the upcoming product and service launch. It was elegant, classic, it suited my boss’ tastes and our company’s purpose and it also tells what kind of company we are. I have a picky and fickle boss but when I showed him the website picture of the pen I chose he immediately gave me the nod, which is a signal that he wants it ordered in bulk and stamped with our company logo. It wasn't just the image or the picture or how the pen looked like that won me over and my boss, it was also because it came with many different business appropriate colors and as my boss would say: “Variety is good”. I guess that is also one of the reasons why he was so quick to make the decision because it would normally take him some time to make a decision and he also wants his money’s worth; he’s just that kind of person.